R+ALA | Does R+ALA Work to Build Muscle? You are a bodybuilder and settling for anything less than the ultimate physical form is unacceptable. This means that everything you do from the way you train to how you handle your recovery periods, to what you eat has to be the best. This includes the choice you make about which bodybuilding supplement you use. Yes, many of them appear to be the same. They all seem to have roughly the same ingredients and make roughly the same claims but as any experienced athlete knows that over the years many companies have popped up looking to get their share of the multi-million dollar industry that is bodybuilding supplements. Usually, they just get a lab, hire some chemists to put together some concoction using all the most well-known ingredients and then hire a marketing firm to come up with some aggressive sounding name and pitch it on their website and in ads like whatever their selling is going to turn everyone who uses it into the Hulk. The point here is actually very simple - although having the right ingredients is crucial all bodybuilding supplements are not created equal. This is because it's the way these ingredients are combined in a formula that matters most. If you put too much of one thing in and not enough of another you system will not truly be able to fire on all cylinders the way it needs to in order to maximize the full benefits from your entire regimen. So, knowing which bodybuilding supplement to buy is hard and, in some ways, getting harder by the day as more new products come on to the market - sometimes as something new and sometimes as a newer version of something you've heard of or even tried before. With all of this in mind we, as part of our ongoing efforts to help or readers find the best available products, have decided to take a good hard look at one of the most talked about bodybuilding supplements available today - it's call R+ALA. One look at the basic science behind maximizing the benefits of your workout regimen and it's easy to see why optimizing the intake of glycogen is so critical. It's because creating more insulin drives the delivery of both oxygen and nutrients to the key muscle groups and organs helping them to run and regenerate at maximum capacity. This, in turn, allows the benefits of each repetition to be fully utilized. And, for a man on a mission, anything less is just unacceptable. Of course, maximizing the benefits of each rep and each overall workout is only part of the journey. This is because, as a real bodybuilder who has done their homework knows, the benefits of a top supplement do not end when the workout does: not even close. This is because when you add creatine into the mix the power of the supplement becomes even more evident as the creatine works with glycogen to give the entire recovery process a super kick start that simply puts the whole concept of maximization on a whole other plain with give the added benefit of providing your body with a key antioxidant. Regardless of whether or not a product sanctions any testimonials or user reviews it is always best to look for sources of reviews that have no ties or affiliations with product manufacturer or any associated resellers. In a standard search of industry related websites and chat rooms focusing on the subject we found many reviews of R+ALA. The vast majority of these could only be classified as negative. The most prominent theme of these was that did not live up to expectations or compare well with other supplements the users may have tried before. The two key active ingredients used in the creation R+ALA are Lipoic Acid and Magnesium Stearate. The Lipoic Acid works is used to change fat and lipids into usable energy while the Magnesium Stearate is used to build up the body's circulatory system as a way to create the highest and strongest way to create receptive pathways by which the nutrients can travel to the targeted muscle mass. When combined the effects can, under the correct circumstances and conditions, produce an incredible decrease in the amount of body fat while adding to the gains already achieved in the boosting of stamina and endurance. A strong list of well-known ingredients including antioxidants. Contains Lipoic Acid which studies have shown to have a positive effect on overall life expectancy. Ingredients have been shown to reduce inflammation in joints and muscle tissue. Promotes cognitive abilities and helps prevent neural degradation. The price point for this product is well above many of its competitors. A high number of reviews referring to allergic reactions have hurt its ratings. Only available for purchase through its official manufacturer's website. Independent reviews note multiple issues related to the money-back guarantee. Given that there have been a considerable number of issue arising from the use of R+ALA and potential allergic reactions it is highly advisable to consult with a primary care physician or other qualified medical professional before beginning use of this or any other product of a similar nature. Certainly there has been a great deal of research done on the key active ingredients used in the making of R+ALA. However, this should not be confused with studies or trials conducted on the specific formula used to produce it. As mentioned earlier, having the best ingredients in an unbalanced formula will not help anyone reach the goals. One capsule of R+ALA should be taken at least three times a week according to manufacturer's recommendations. It is advised that higher doses may be considered but only after consultation with a physician. At the top of this review we talked about how any serious bodybuilder wants, more than anything, to maximize the benefits of each and every workout, recovery period and dietary choice. This is why a high quality bodybuilding supplement is so critical. The problem that faces so many of even the most experience and savvy athletes is that the market for these supplements is constantly growing and changing to the point where being able to make a reasoned and informed decision as to which one is likely to provide everything you need in the right proportions is simply getting harder and harder to do. Looking specifically at R+ALA one has to take a step back and consider just a few key points. The first is that although the ingredients list in strong in the sense that it contains what many would consider to be all the essential elements. Another, more on the flip side, is that there is little evidence that the actual formulation for R+ALA has ever been the subject of any serious or verifiable research, clinical studies or trials. 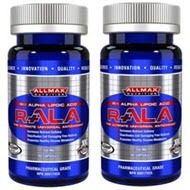 Putting these crucial facts together with the fact that the vast majority of independent user reviews show that R+ALA did not live up to their expectations when it comes to performance there is little doubt that R+ALA, at least in its current form, cannot be considered to be one of the top options for serious bodybuilders looking to achieve the highest levels of the human form. For more information regarding high quality, top ranked bodybuilding supplements available on the market today, click here.